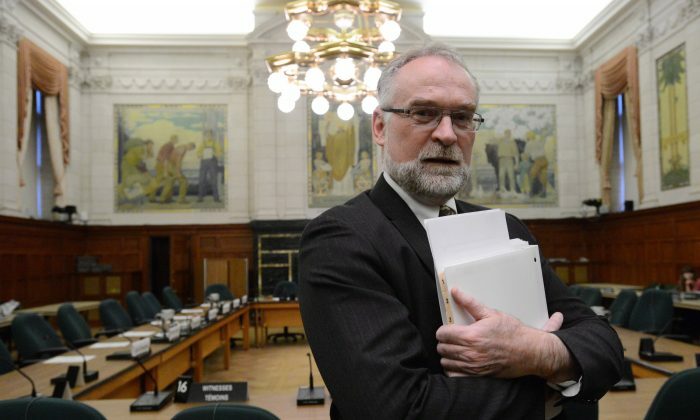 OTTAWA—Michael Ferguson, Canada’s auditor general for the past seven years, has died of cancer at the age of 60. His office says Ferguson died on Feb. 2 surrounded by his wife, Georgina, and sons, Malcolm and Geoffrey. A spokeswoman from the auditor general’s office says Ferguson had been seeking treatment for cancer, but had not taken leave from his duties. Ferguson was appointed auditor general by then prime minister Stephen Harper in November 2011. Opposition parties initially refused to endorse him because he did not speak French, but he since managed to learn the language and gained widespread respect for his solid reports about government spending. Mark "Chopper" Read, a career criminal who became an Australian celebrity, has died of cancer, according to reports. Former Bank of Canada Governor James Elliott Coyne died on Friday night. TORONTO—Boxing doesn’t get nearly the attention in Canada that hockey does, but that could change.